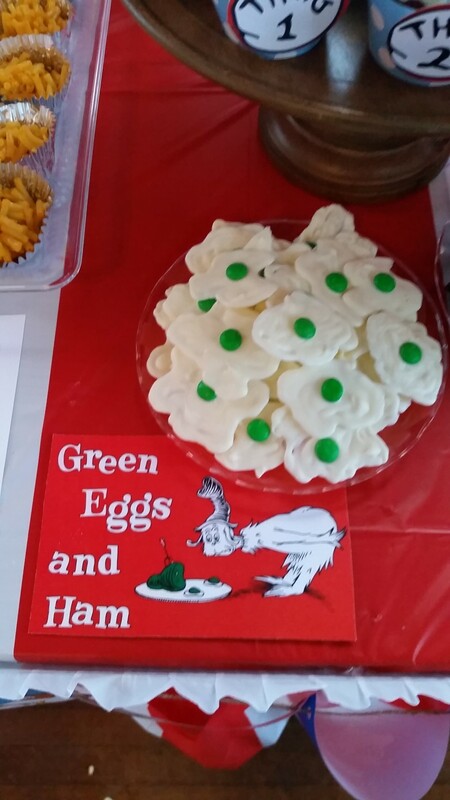 For my sister’s baby shower party (Dr. Seuss Blog), I created Green Eggs using white chocolate and M&Ms. Here is the tutorial on how to create this or any other shape using white chocolate! Step 7: Place the M&M in the white chocolate with the “M” side facing down. Step 10: Repeat steps 4-9 as many times as you want! 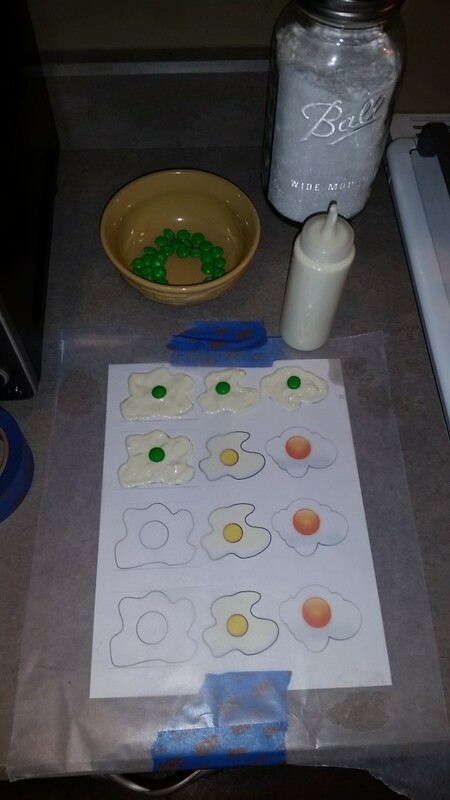 • I made the Chocolate Eggs a couple of days before the party. Since it is summer time, I stored the eggs in the freezer! • If your chocolate starts to get hard to squeeze out, you will need to remelt it. 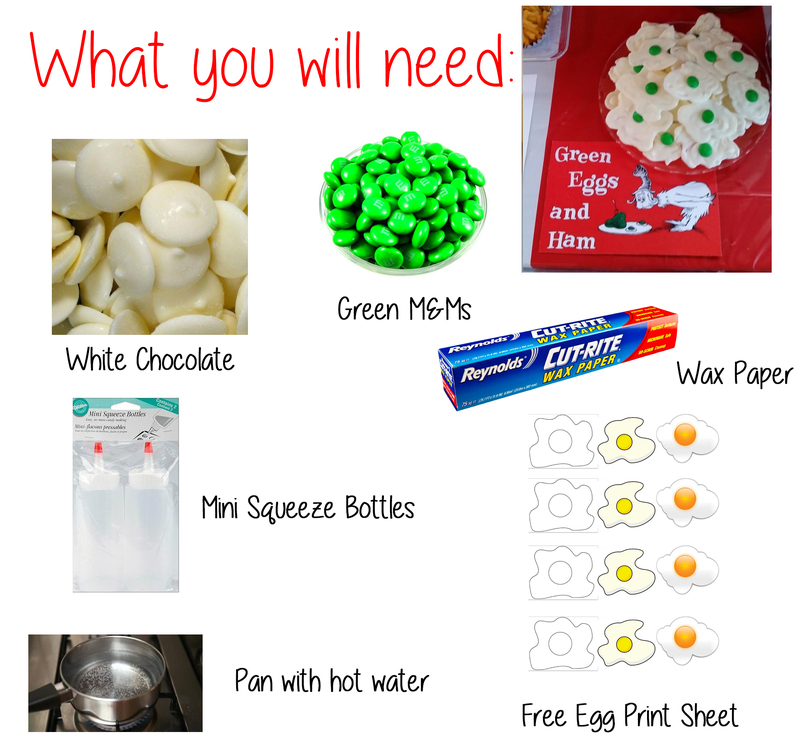 • Once you finished your first batch of eggs, take the top off the squeeze bottle and thoroughly clean the top off. The main bottle can remain with the chocolate. The top needs to be cleaned, you do not want that chocolate to harden in the top. • You can refile the bottles about 3-4 times.